90% of the People Who Attended This Nonprofit Webinar Recording Rated It As Great to Excellent! 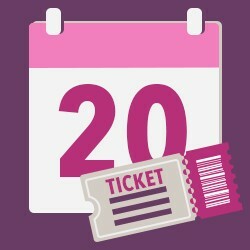 Selling tickets and promoting your event can be tricky. How can you utilize social media to build a buzz and create excitement? How do you leverage your brand’s good will to bring people to your event? How do you get your board and committee to purchase tables and fill seats? This webinar recording will take you step-by-step through the process of putting together a successful marketing plan, and how to implement it using your organization’s resources. Your presenter, A.J. Steinberg, is on a mission to teach nonprofits how to get their events noticed with simple strategies to boost event appeal, marketing strategies, and resource engagement. As a nonprofit event producer, A.J. understands the pain organizations go through when trying to create engaging and profitable special events. After twenty years of creating successful fundraisers, she teaches simple systems that allow small-shop nonprofits to create professional-quality events that will shoot revenues sky-high and create meaningful guest experiences. A.J. Steinberg, founder of Queen Bee Fundraising, has been creating outstanding special events since 1999. In 2015 A.J. created Queen Bee Fundraising which focuses on the art of nonprofit special event management. Along with producing nonprofit events, A.J. teaches volunteers and professionals the strategies for producing successful fundraising events, along with guidance on how to successfully lead volunteer committees to achieve their goals. A.J. works with a broad spectrum of nonprofit clients including The Jane Goodall Institute, Cystic Fibrosis, BreatheLA and Union Rescue Mission, A.J. is a leader in the field of committee-based fundraising.